Start feeling and looking sexier with an epilator, and stop spending so much money on expensive waxing treatments or shaving. Hair removal epilators are a compact device that contains tiny tweezers that will remove hair from the root as you glide over your skin. The tweezers rotate and grab multiple hairs and pull them out simultaneously. Compared to shaving, hairs will start to grow back, making them an inconvenience since you will have to shave again every few days. Meanwhile, waxing is very expensive. Epilators are the most cost-effective option, and arguably the most efficient at hair removal over the long term. 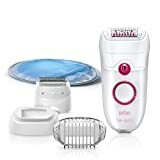 The most important feature to look for in a hair removal epilator is that they remove hairs from the root, rather than cut them close to the surface. Otherwise, they would be functionally identical to shavers. Look for models with lots of tweezers that can effectively remove lots of hair at a time, and can reach even the tiniest of hairs. This ensures that it takes less time overall for each session. Models that can soothe some of the pain are great for your personal comfort, while ergonomic designs can improve your handling of the device. 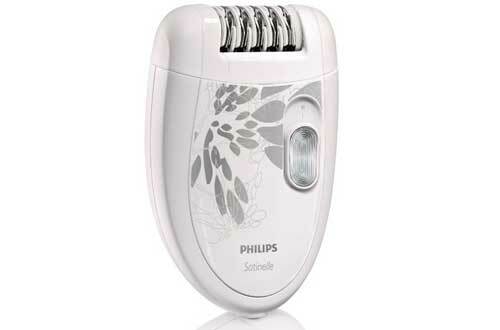 As one of the top-rated epilators on the market, this model from Philips is an excellent solution for hair removal. It comes in at a reasonable price and can efficiently remove hairs from the root. This means it takes much longer before they regrow, and when they do they will be much thinner than before. It comes with 2-speed settings to give you optimal performance and handling. The epilation head comes with an efficiency cap for comfort, and can be washed to keep things clean. It comes in a pleasant white and grey style. 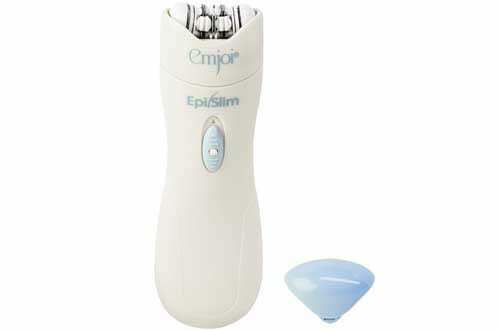 With a wide array of effective tweezers, this epilator from Emjoi is a great pickup for any woman desiring sexier looking legs. It features patented glide technology for improved operation, and the 72 tweezer head removes hair rapidly. Furthermore, it uses dual opposed staggered heads for better hair coverage. The middle part helps lift flat and shorter hairs, meaning there are fewer do-overs. 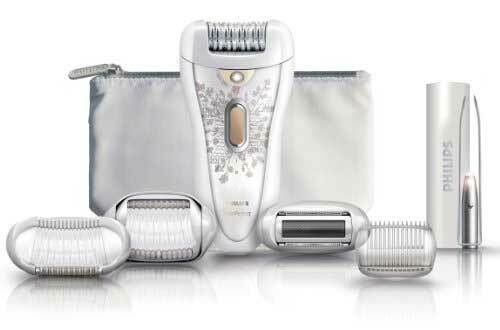 It is also the first epilator on the market that features silver ion technology. 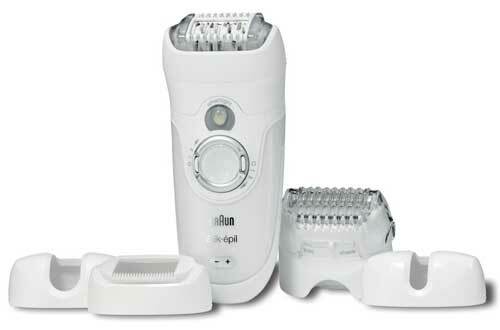 This midrange epilator from Braun delivers great value and convenience. 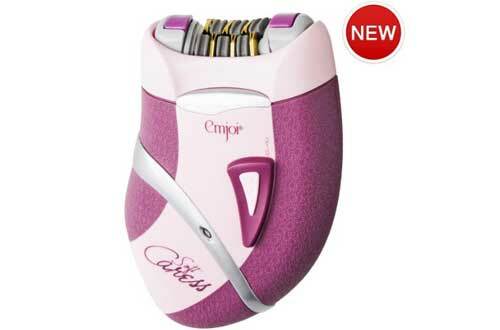 It features extra gentle epilation with a unique comfort system. This comfort system is made up of high-frequency rollers that massage you and a cooling glove that is excellent for post-epilation cooldown. It has a reach as fine half a millimetre and will remove hairs straight from the root. You can use the speed personalization setting to deliver the exact speed you need, and the integrated SmartLight makes it easier to spot hairs. 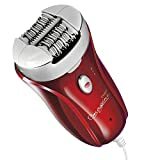 Coming in a compact design and shape, this model from Panasonic features a strong balance of convenience and hair removal effectiveness. It uses 48 tweezing discs and several detachable heads for different uses. 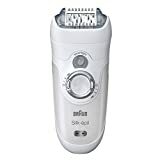 For example, the 60-degree head is excellent for close hair removal, while the dual disc is suitable for lateral gliding. The nickel-free hypo-allergenic blades are safe and acceptable for anyone with sensitive skin types. The device features an attractive red/pink gradient style. If you’re looking for a budget epilator, this model from Emjoi is a great choice. 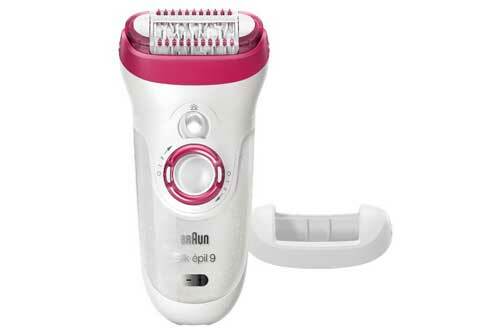 Epilator uses a powerful motor that assists in delivering more precise and less painful hair removal. It is designed with delicate skin in mind, perfect for upper lip, chin, bikini line, legs, and underarms. It uses 9 tweezers on its head to effectively remove hairs. This deluxe model from Philips offers several advantages and convenient features when lined up against other epilators on the market. It uses hypo-allergic textured ceramic discs on the epilation head. This gives it a smoother glide and can catch very fine and short hairs. One of the unique features it boasts is its active hair-lifter. 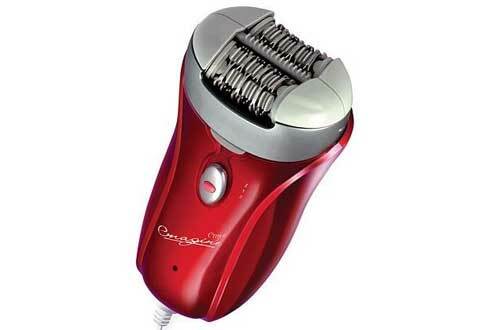 This vibrates and helps remove flat lying hairs, which can often be a problem for other traditional models. It also uses a message system that stimulates and soothes your skin at the same time. 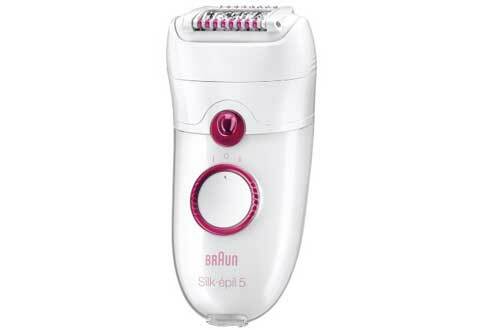 If you’re interested in an epilator that works in both wet and dry conditions, you should give this Braun model serious consideration. It uses an innovative micro grip tweezer that can remove hairs with the precision that even waxing cannot match. 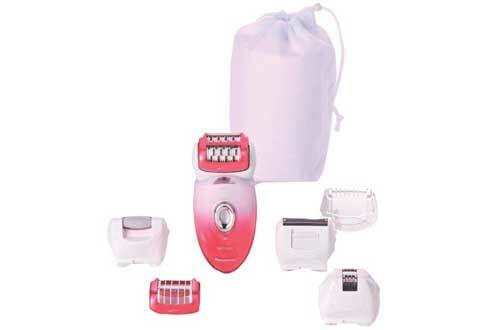 Another feature that this premium model offers is its 40% wider epilation head. This means that it can remove more hair with a single stroke, dramatically decreasing the amount of time may take. 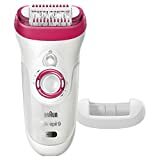 This device from Braun’s line is another epilator that functions for both wet and dry conditions, making it This premium model is among the most efficient on the market, with a wide array of tweezers that can handle very short or fine hairs without a problem. This unit comes with 5 attachments, with caps designed for trimming, efficiency and general shaving. These attachments are all specifically designed to offer superior results when used in different areas of your body. If you’re looking for a fantastic balance between premium technology and inexpensive cost, check out this model from Emjoi. The hypo-allergic tweezers on the epilating head are coated with 24 karat gold. This gives it stronger anti-microbial protection against potentially dangerous bacteria. It features 36 tweezer discs that will remove hair from the root, even for hairs as short as 0.5mm. The device is rechargeable and can work while corded or cordless. 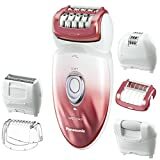 This full-sized epilator from Epilady offers a strong combination of convenience and efficiency all at an acceptable midrange price. It can be used either corded or cordless, and the dual voltage adapter lets you use it anywhere in the world without any issues. It can tackle even the shortest and finest hairs and is guaranteed to leave your skin smoother than ever for up to 1 month. The wide epilating head is quiet during operation, and it comes with a perfect angle guide to ensure you are using the device optimally.